Leaders at Colorado State University-Global Campus, in searching for a new headquarters, found a way to leverage their lease payments to make college possible for more Denver-area students. 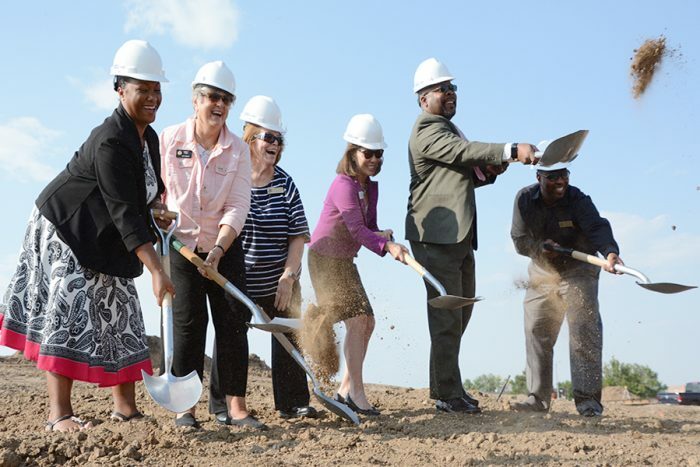 Aurora Public Schools (40,000 students) is building a home for the fully-online university’s administration and staff on a parcel of district land that includes a gifted and talented magnet school, a special needs program and a high school. The rent will be paid in kind through scholarships for students in the urban district just east of Denver. “Rather than pay a private landlord for office space, this partnership with Aurora Public Schools will allow CSU-Global to use that normal expense to more impactfully serve students in a diverse community like Aurora,” says Andrew Dixon, the university’s director of marketing and communications. CSU-Global, which does not receive taxpayer funding, signed a 10-year lease to move from its home in the Denver Tech Center. The university will offer a 30 percent tuition discount to Aurora schools employees and to students who graduated from Aurora schools after 2012. Aurora’s educators will have access to “affordable and flexible” PD provided by CSU-Global. The partnership required approval by the Colorado General Assembly, and Aurora voters approved the funding in 2016 as part of a $300 million district bond measure. Aurora is a highly diverse district, with more than 130 languages spoken by its students. Online learning could appeal to students who may be more reluctant to leave their tightknit communities or who have to work to pay for college, says Superintendent Rico Munn. What you need to be on the Fed…and it isn’t a Ph.D. Neither Stephen Moore nor Herman Cain, political allies that President Trump hopes to put on the Federal Reserve Board, has a Ph.D. in economics. For fans and even some foes, that’s a virtue, not a vice. State Reps. Tim Briggs (D-Montgomery) and James R. Roebuck Jr. (D-Philadelphia) recently introduced legislation to create a higher education funding commission that would explore ways to improve access to higher education and job training in Pennsylvania.